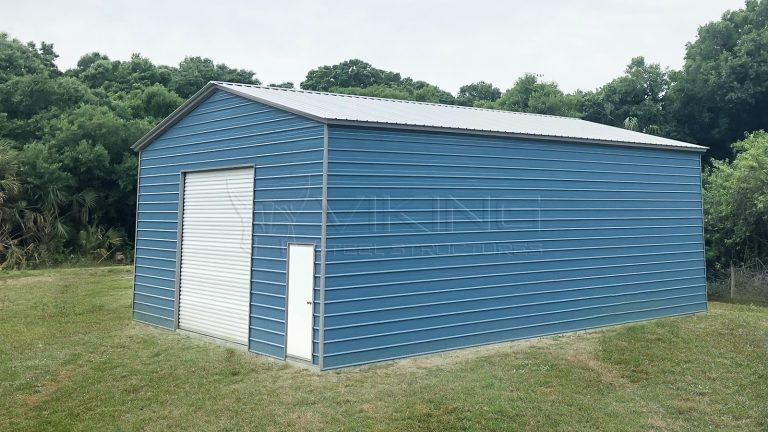 Check out our collection of metal buildings installed by Viking Steel Structures for customers. 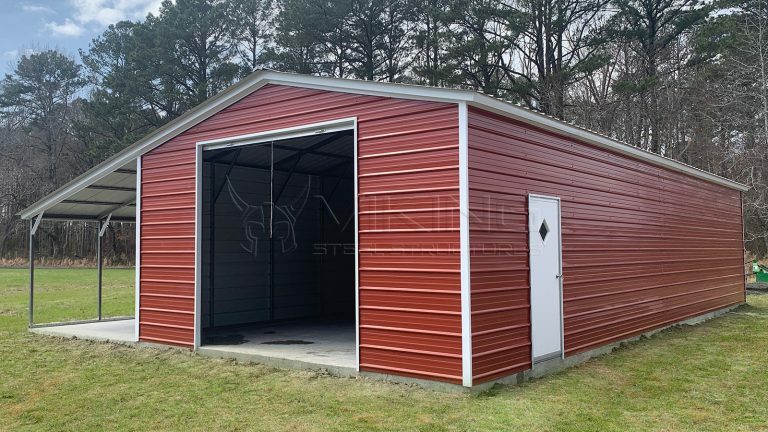 Chat with us or Give us a call now to get your own custom tailored building with Free Delivery and Installation. 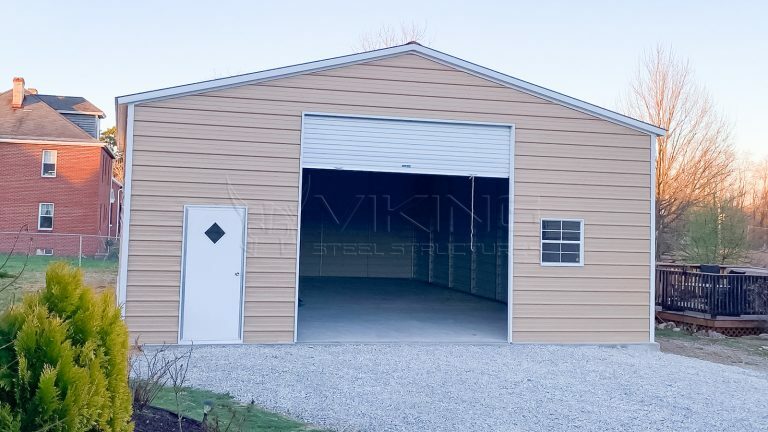 Metal Building Size: Every steel building requires a certain amount of metal to construct it. 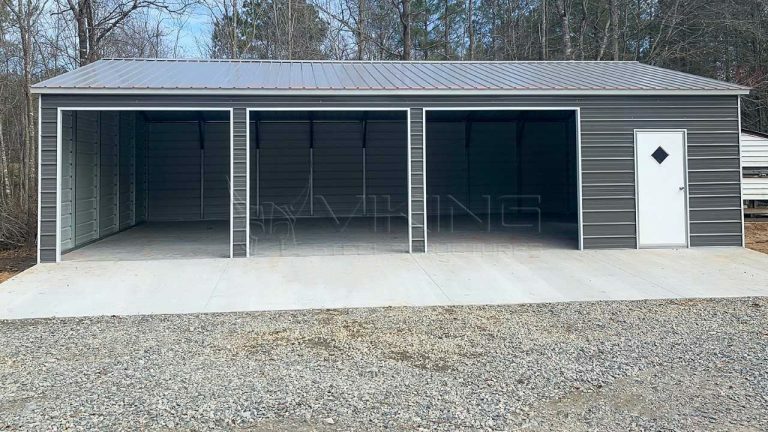 The quantity of steel will vary with height, length and width of the building and depends on all additional things you are adding to your metal building. 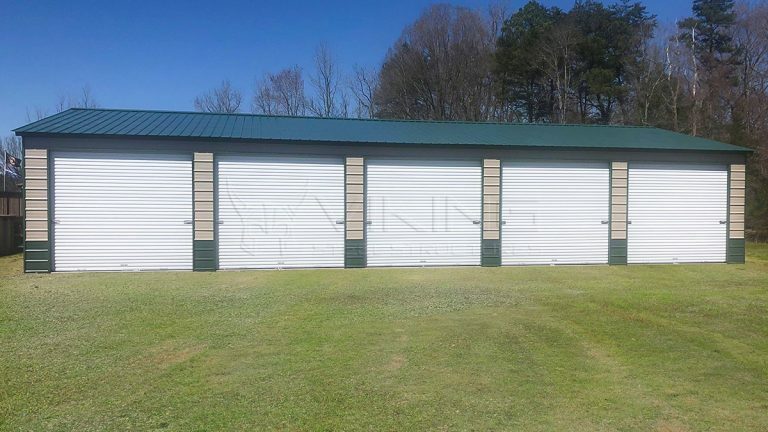 Please remember that the length of the building doesn’t affect the pricing as much as an increase in width or height. 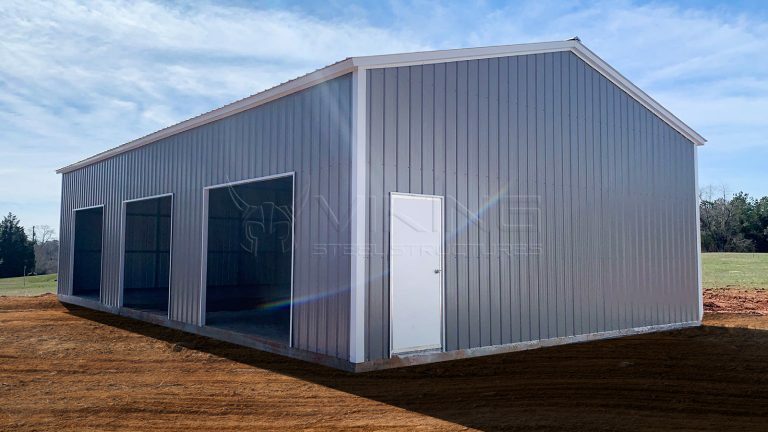 Design of the Steel Building: Design of the metal building plays a key role in determining the price. With every design, truss, braces, roofs, walls, legs and everything changes, which directly affects the cost. Therefore, some designs make the buildings economic and some expensive. 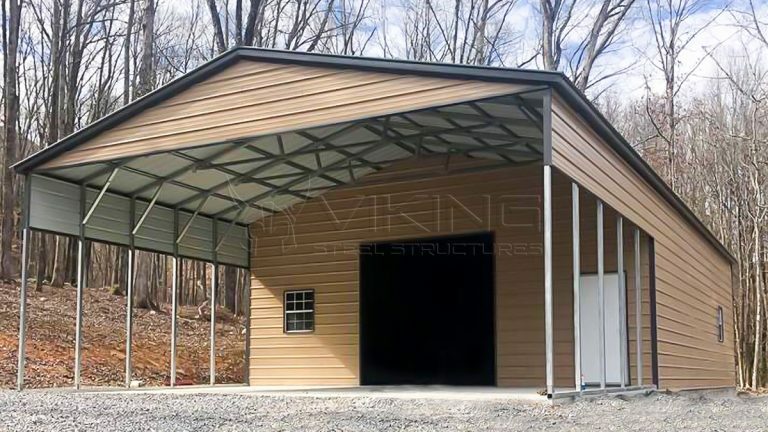 The Building Ends: Depending on the type and the style of steel building you have decided on, you may have the option for the ends to be opened, gabled or fully enclosed. 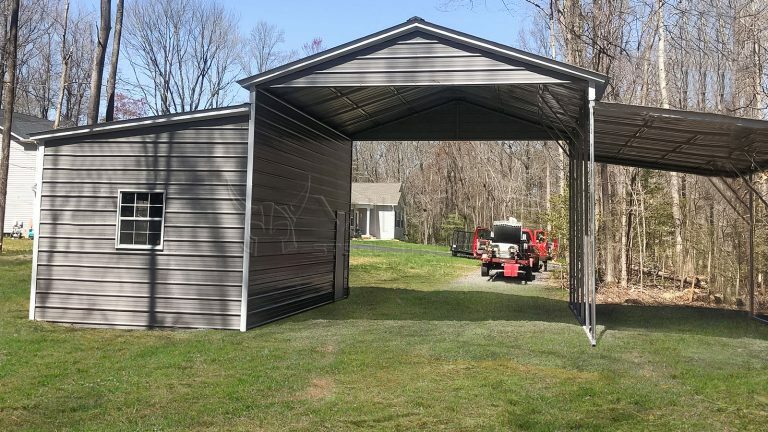 The Side Walls: Decide whether you want your metal structure to have open or closed sides. 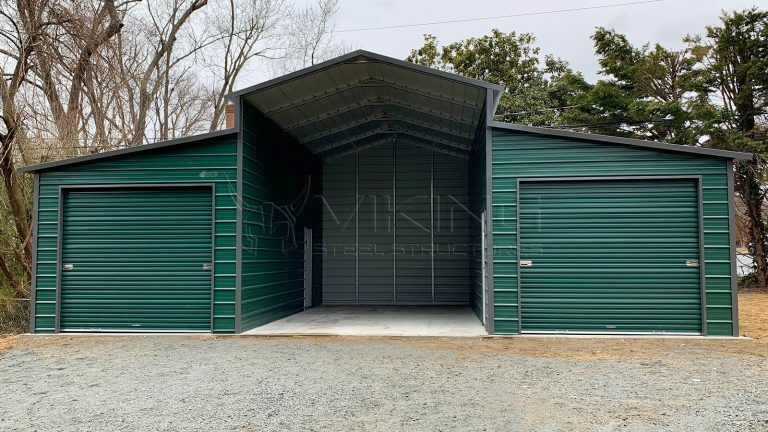 Doors and Windows: You may decide whether you want a garage door, side door, door with window, side window, roll up door or walking door; you can even go with a frame outs. 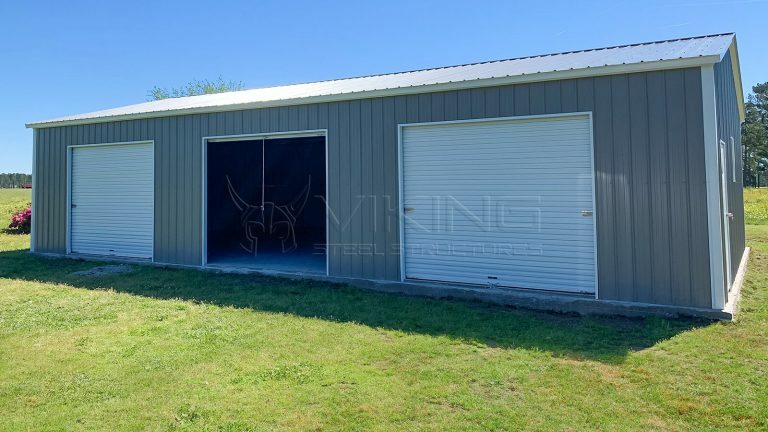 Frame and Sheet Metal Gauges: You can make a decision about the thickness of steel you want for your frame and sheet metal. Your choices here are 12 or 14 gauge for the frame, and 26 or 29 gauge for the sheet metal. Anchors: You may decide that you want extra anchors for the additional strength.